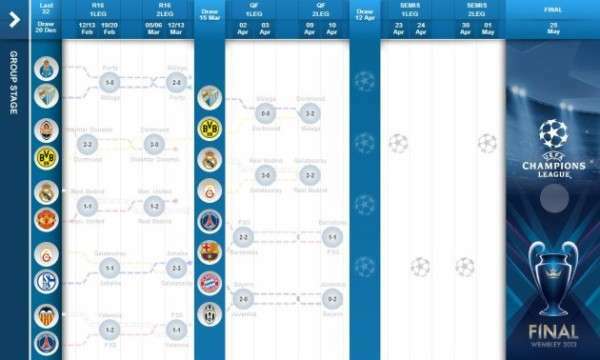 Uefa champions league is now entering into the sensational phase of Semi Finals. Semi Finals of Uefa Champions are announced and they are to be come about on 23-24 April and 30 April and 1st of May. Pieces have been set. Its time for the clash of the Titans. After the recently astounding results of Quarter Finals here are the teams that have qualified for the Semi Finals of Uefa Champions League. Dortmund qualified for the semi final on 3-2 (score). Real Madrid qualified for the semi final on 5-3 (score). Bayern qualified for the semi final on 4-0 (score). Barcelona qualified for the semi final on 3-3 (aggregate). Uefa Champions League semi finals first leg is on 23-24 April and second Leg is to be played on 30th of April and 1st of May. Draws of Semi Finals are yet to concluded but they will be announced very soon.